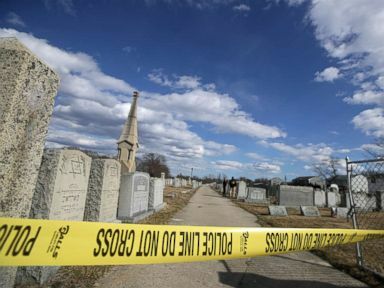 A hate crime investigation is underway after 59 headstones were defaced and two were knocked over at a Jewish cemetery in Massachusetts, according to local police. Officers responded to the Hebrew Cemetery in Fall River Sunday afternoon after a maintenance worker discovered gravestones damaged with swastikas and anti-Semitic messages, including “expel the Jew” and “Hitler was right,” according to police. It appeared the crime occurred Saturday or early Sunday morning, police said. 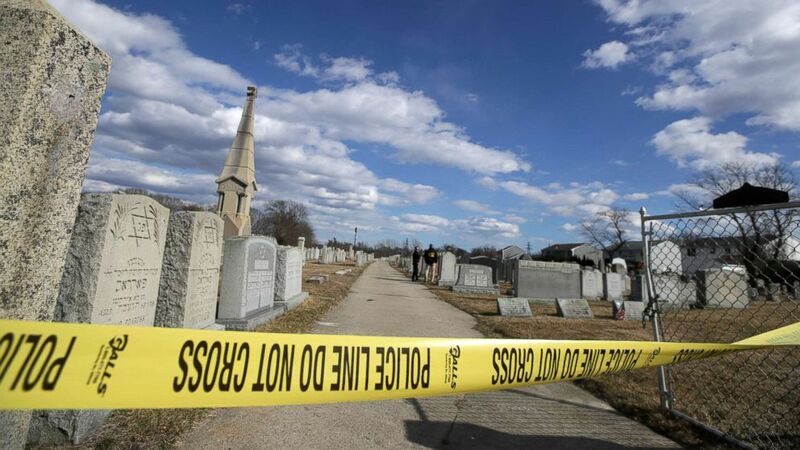 A Bristol County Sheriff’s deputy walked the grounds of the cemetery Wednesday as relatives of those whose graves were desecrated documented the vandalism. “We are grateful for the priority that this apparent hate crime is being given by the Fall River Police Department,” Trestan said. The ADL said it’s offering a $1,500 reward for information leading to an arrest. Anyone with information is asked to call Major Crimes Division Sgt. Tom Mauretti and Detective Moses Pereira at 508-324-2796. Anonymous tips can be submitted to 508-672-TIPS. The United States had seen a decline in expression of anti-Semitism over the past several decades — until three to four years ago, when it started to rise, according to John Cohen, a former acting undersecretary at the Department of Homeland Security (DHS) and current ABC News contributor. 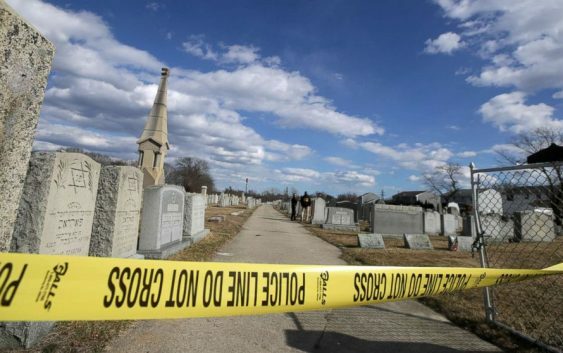 Of the 1,749 victims of anti-religious hate crimes in 2017, 58.1 percent were victims of crimes motivated by the perpetrators’ anti-Jewish bias, according to statistics from the FBI. Cohen said law enforcement is concerned anti-Semitic acts will get worse before they get better.